Italian daily paper “La Repubblica” expressed an opinion that nobody will take back Euro 2012. Italian media suggested before that the tournament would take place on the Apenine Peninsula. Such comment was on the margin of the conversation with the president of UEFA Michel Platini who was staying in Italy. 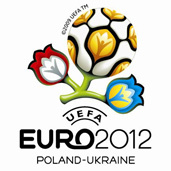 Platini, when asked if there is any news concerning Ukraine that is preparing Euro 2012 answered: “no, none”. In the summary of the conversation about Italian football, “La Repubblica” writes: “Platini has been recently in Poland and in Ukraine. He was doing the inspection of the works before Euro 2012. There are (terrific) delays and UEFA will make a decision just at the end of September”. “But the daily paper adds that it would be better for Italy to calm down immediately. It is probable that nobody would have courage to take back the championships in the four years before it starts”.